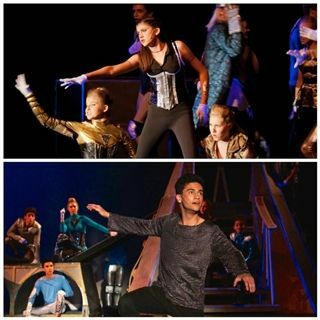 Congratulations to Ben DeSoto Mayor and Catherine Ames, who have been nominated for 2015 Ben Vereen Awards in the categories of "Best Actor" and "Best Actress" for their performances in Pacific Ridge's annual musical, Pippin. On April 26th, Ben and Catherine will participate in the 2015 Ben Vereen Awards San Diego competition, where they will perform a song from their nominated performance, as well as a contrasting piece. Up to five Best Actor and five Best Actress nominees from the San Diego competition will advance to the Southwest Region Finals. From there, competitors have a shot at advancing to the National High School Musical Theater Awards/Jimmy™ Awards.